Real Madrid bid farewell to the Santiago Bernabéu for the final time this season, and they did so in some style. The Whites thumped Celta in front of their own fans, led by a Bale double, one of which was a truly stunning strike. Another fine effort from Isco, and goals from Achraf, Sergi Gómez in his own net, and Kroos completed the rout and reminded everyone of the madridistas' attacking firepower in the penultimate LaLiga clash of the season. A fitting display of their offensive prowess just two weeks ahead of the Champions final in Kiev. The game started in open fashion as both teams looked to take control early on. Achraf, for Madrid, and Boyé for Celta were the first to test the opposing defences, but it was Bale who broke the deadlock. With 13 minutes gone, Keylor took a goal-kick, Modric picked it up and threaded a pass through for the Welshman to run on and beat Sergio with a strike which went in off the post. 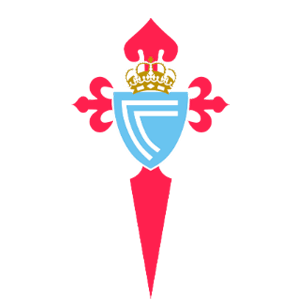 A goal up, Zidane's men began to look dominant, but Celta could have levelled the tie when Jozabed had the ball in the net, but the goal was ruled out for a Wass offside. The Whites bagged their second just on the half-hour mark. Bale showed all of his power, pace and poise to get in behind the opposition defence after a fine Isco pass, nut-meg Jonny and blast the ball into the roof of the net. Two minutes later and Isco got in on the act to increase the deficit further. In the blink of an eye, the Malaga-born ace cut inside and bent a beautiful curling effort into the top corner. It was a startling attacking display from the madridistas in the first half. With his brace against Celta, BALE HAS NETTED 14 GOALS IN 2018. The Whites came out for the second half intent on increasing their lead. Benzema created some real danger as he drifted between the lines, and it was he who slipped a pass to Achraf to make it 4-0, the full-back beating Sergio from inside the box (52’). Real Madrid were on fine offensive form and had real chances every time they got into the visitors’ box. On 57’, Benzema’s shot ricocheted off Bale and ended up in the back of the net, but it was ruled out as Isco was in an offside position. Zidane threw on Mayoral and Asensio. The Majorca-born star had a great chance with his first touch of the ball, but Pablo Hernández was on hand to put a stop to that. On 72’, Bale, the star of the show with a classy brace, was taken off for Lucas Vázquez. Two minutes later the Whites made it 5-0 after Asensio sent in a cross that Sergi Gómez turned into his own net. Real Madrid tried their best until the last. Mayoral could have rifled home on 78’ but it was Kroos who went on to make it 6-0 just after. The German talisman picked up on Mayoral’s pass inside the box to score. The game wasn’t over yet though, and on 83, Modric hit the post. Zidane’s side continued to press forward but it remained 6-0, a special way to round off a great season in front of the Bernabéu faithful. Game corresponding to LaLiga match day 37, played at the Santiago Bernabéu. González Fuertes (Asturias Committee), assisted by Fernández Miranda and García Fernández. López Parra was the fourth official.